Today I’m sharing this Beautiful Box of Sewing Pins Engraving! This beautiful drawing of a large box of sewing pins from the Capitol Pin Company is delightful. The Typography is spectacular. A large building with turrets is the central image. So nice to use in your Sewing Craft or Collage Projects! 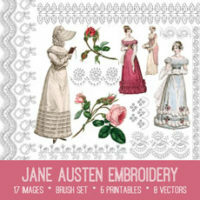 Jane Austen’s Embroidery Images Kit! 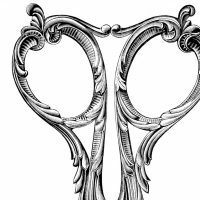 Graphics Fairy Premium Membership 8 Scissors Clipart Graphics! 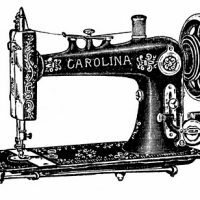 6 Antique Sewing Machine Pictures! I’m so glad Maxine, that is wonderful! Thank you for my Friday freebie. I have loved you site for years now. It’s wonderful to have watched it grow and love the new changes also. That is so sweet, thank you Connie! Thank you so much for your generosity! I ALWAYS love your images!